What if a Lovecraftian horror actually made an attack on a modern mainland city? Find out in this hastily written trifle by John Brunner, from the glory days of the 75,000-word supermarket rack SF novel. A few good details will stick in my mind — like “Old Hundred,” the hymn chosen by the citizens of Jacksonville to worship their new abomination-overlord, or the naked fat woman plugging the hole in a sinking boat with her own body. 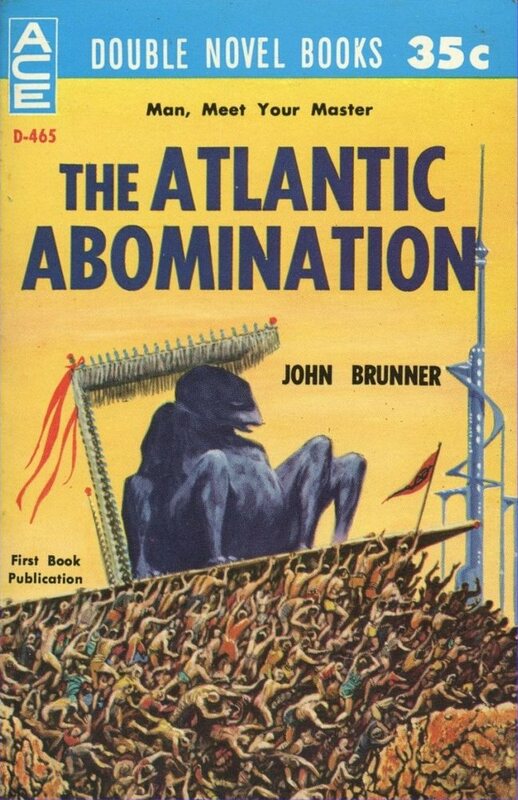 This book came out in 1960 with three others by Brunner, so you have to admire his industry. Won’t stop me from reading more by him.